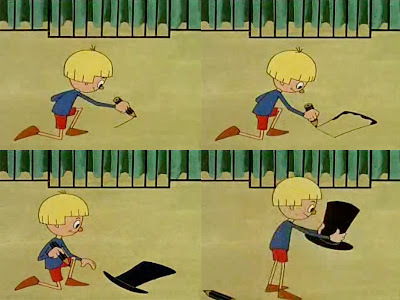 The philosophy of the project is analogue to the polish cartoon, the "Magic Pencil" of the 80’s, in which the protagonist in need just drew the objects he needed and they became real. This depicting included any object, there were no restrictions. The protagonist could materialize any of his drawings. Lőrinc Borsos believes that this technology works in real life as well. With his works he intends to fulfill his basic needs: paying back his debt, winning artistic and other support, using human resources and hi-tech devices. More info on Lőrinc Borsos blog.